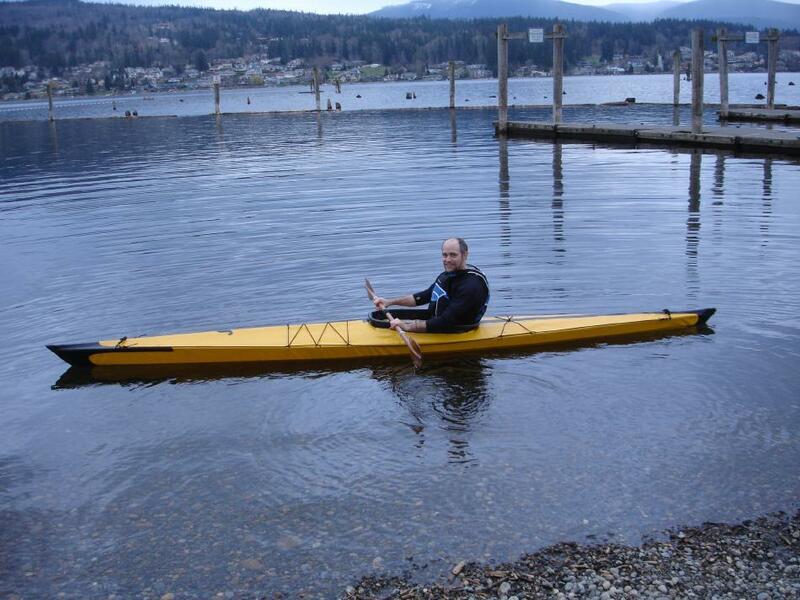 Dave, from Bellingham, Washington displays his Sea Tour 15-R folder. Build time was less than three weeks spread over a 1.5 year period. Dave’s Sea Tour 15-R uses an aft deck zipper with velcroed flap for skin removal.